Oracle ICS provided Microsoft Email adapter that allows us to create an integration with a Microsoft Email application. 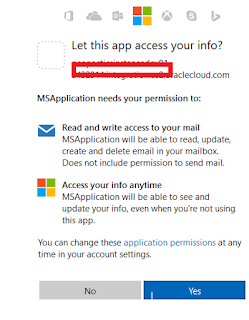 Microsoft Email Adapter in an Oracle Integration Cloud Service enables us to retrieve messages in Office 365 and Outlook.com. The Microsoft Email Adapter enables us to manage messages, manage folders, create folders, read messages from a folder, sent email etc. Enter https://ICSURL:ICSPORT/icsapis/agent/oauth/callback in the Enter a URL field. Can you please send the screenshot of the error. 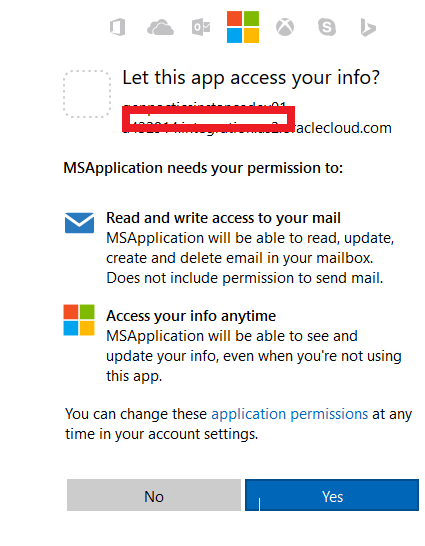 Also, make sure the MS credentials has the admin privileges from which you are trying to provide consent. ErrorInvalidRecipients","message":"At least one recipient isn't valid., Recipient \"\"xxxx@gmail.com\"\" isn't resolved. All recipients must be resolved before a message can be submitted." Any idea in which scenario do we get this error. 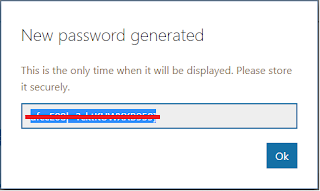 Recipient email id is a valid one, tried with couple of other ids but still gets the same error. Ideally is should not through this error. Can you check some MS documentation for the error. Can you pls give me some idea on Oics integration with Financials Cloud-->Service Max-->SCM Cloud.